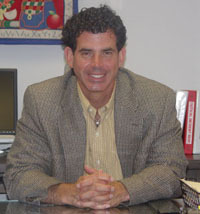 As Principal, it is a great pleasure to welcome you to John F. Kennedy Middle School. I am humbled to serve as Principal and gratified I will have the unique opportunity to continue working in a community I have been a part of since I arrived at JFK as a new teacher in 1995. 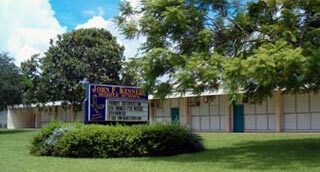 John F. Kennedy Middle School provides a rigorous education in a nurturing environment to challenge our students through a variety of curricular offerings including the national award-winning BEAT Magnet Program and a new Cambridge Academy. Our primary goal is to increase student achievement by continuous improvement of the instructional environment and enhancement of instructional resources to further empower students in their search for knowledge. We will enforce high expectations for our students and create strong and focused instructional programs to motivate learners. I believe in John F. Kennedy Middle School - our students and parents, our staff and community. As we strive to educate every learner, our entire staff looks forward to partnering with our parents and community in meeting the educational challenges that await us. We are all role models for our students. Our academic expectations must be high and our behavior exemplary as all children deserve the very best in education. Attaining and sustaining educational excellence will require our commitment, perseverance and hard work to meet our goal.